We are delighted to announce the first speakers for the next news:rewired digital journalism conference, including the Guardian’s recently appointed executive editor for digital Aron Pilhofer. Pilhofer, who recently caused a stir of debate around the future of digital journalism with his first public speaking appearance in the UK at Hacks/Hackers London, will be giving the keynote speech at news:rewired on Tuesday 3 February at MSN UK’s offices in Victoria, London. 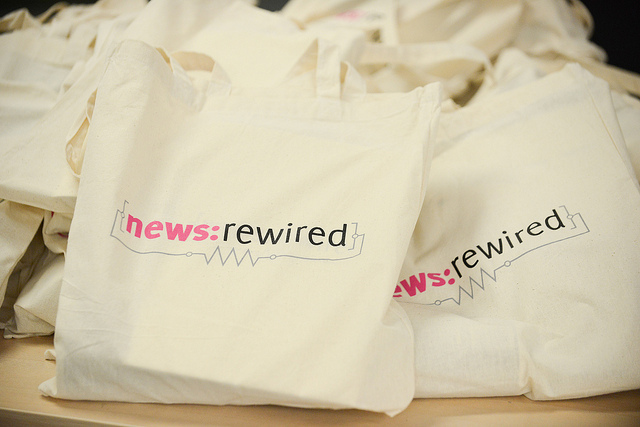 The news:rewired digital journalism conference focusses on practical tips and advice for news organisations and individual journalists, covering the key trends in digital journalism and workshops on improving professional skills and knowledge. Sessions and workshops planned for the day will look at experimentation in the newsroom; new ways to cover politics and the upcoming UK General Election; engaging with younger audiences and approaches to visual storytelling. More sessions will be announced as speakers are confirmed. Earlybird tickets are currently available for just £120 +VAT, but we only have 50 available so make sure you don’t miss out. Because of the delay in announcing speakers, the window for earlybird tickets has been extended until Friday 30 October, or until all 50 are sold, whichever is sooner. After that time, tickets to news:rewired – which include a full day of workshops and events, focussed lunch-time training, meals across the day and networking drinks – will be £165 +VAT. The earlybird discount is also available on news:rewired+ tickets, giving you access to a full day of training on the following day, Wednesday 4 February, in addition to everything included at news:rewired. There will be a choice of three training courses on the Wednesday, yet to be announced, and at £270 +VAT the tickets offer a 25 per cent discount on the training course in addition to the reduced price for entry to the conference.